Two nights ago, Modi suddenly appeared on TV and told people that the currency notes for Rs. 500 and Rs. 1000 would not be legal tender after midnight and anyone accepting them did so at their own risk. Then followed information on how how people could deposit them into banks or exchange them for legal 100 rupee notes at banks and post offices. There also followed information on places that could still accept the notes for an additional 72 hours, like government hospitals, petrol pumps, railway counters, etc. Banks wouldn’t work the next day and ATMs wouldn’t work for the next two days. New currency for Rs. 500 and Rs. 2000 would be issued after three weeks. Don’t panic, he said, you will get your money back or something. He has vanished since then, even gone abroad while the country faces chaos and did panic. What this meant was that the people had absolutely no chance to organize themselves and plan their finances for the near future. People stopped accepting those notes well before midnight. Others rushed to ATMs, which was a bad move, since most ATMs nationwide give only Rs. 500 and Rs. 1000 notes and only a select few dispense Rs. 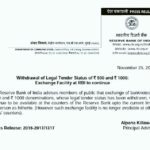 100s – which was the need of the hour. Those emptied fast. What ensued was absolute chaos. 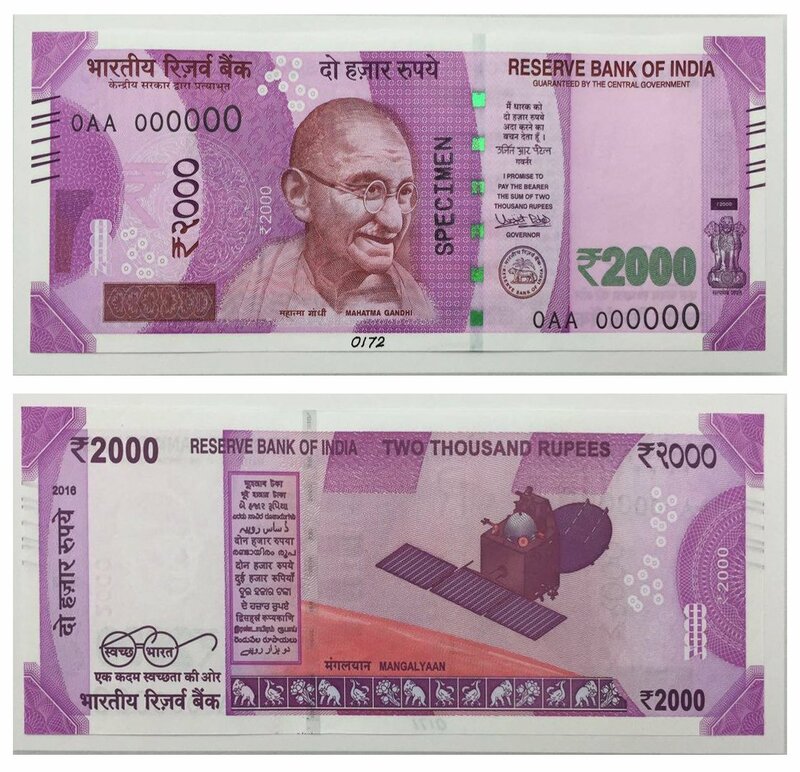 While stating that petrol pumps and railway counters and such would accept the banned currency, the government had done zero to ensure that they had adequate legal currency to offer back in change and necessity soon forced these places to stop accepting the banned notes, regardless of what the Fuhrer had decreed. As outrage grew, hasty additions were made to the list that would accept the banned currencies like all hospitals, medical stores and such. Frankly, on the ground and in order to be able to do any business at all, it translated to pretty much anyone with enough change to return for the banned notes accepted them. It didn’t work, as people held on to the increasingly scarce Rs. 100 notes for necessity and local economies ground to a halt. By morning, the situation was clear. Shops accepting cards and such (mostly in the metros) continued to do business, while small town areas like ours were completely shut in the day – there was no money to do transactions with anyone. By the evening, the classic Indian jugaad had helped some more, and solutions like doing purchases worth the cost of the banned notes was practiced (absolutely everywhere, not just in government listed places). A few places like medical stores took to issuing notes signed by the owner for the balance amounts that could later be exchanged for medicines. But such trade was largely limited to essentials. The economy basically ground to a halt. The complete abruptness of the move resulted in enough lack of information to do irreparable harm. From money being abandoned or burned to a heart attack from shock that the hard saved 2k a woman was to deposit in the bank was no longer a legal note. Another woman in Telangana sold her land for 50 lakh in cash and committed suicide on discovering the ban, believing that her notes were now worthless. People with weddings in the family were completely stumped for money. Necessities from cooking fuel to vegetables were out of the reach of people. There simply wasn’t enough cash for transactions to happen. There was panic over urgent needs for cash, medical emergencies, travel, weddings and other functions, bill payments and more. Many couldn’t afford food. Sellers of perishables made huge losses because their investment spoiled before people had money to buy it. A thriving black market bloomed overnight that will vanish just as untraceably later over – ironically – national currency. People desperate for money to buy things accepted change for a lesser amount (varied from Rs. 300 to Rs. 450 for every Rs.500 note). Television channels were monuments to the absurd, loudly proclaiming “noton ki jabardast black market” (Black market of currency) one moment and how this move was preventing corruption black money (the government script) at the other. 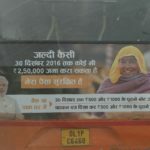 Supporters of the ruling party took to suggesting anyone who criticized this to be hoarding black money. Others helpfully suggested cashless wallets (incidentally, the Prime Minister appears to have promoted one coinciding with this ban, raising all kinds of questions from quid pro quo to propriety). There was an abundance of information on how to deposit, withdraw or exchange cash. Except…. the banks were closed, as were the ATMs. 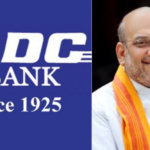 By the end of the day, the devastation this move had caused people – and particularly the poor – was so obvious that the need to rapidly return cash to people was beyond obvious, and the government decided that the banks would immediately start supplying the new currency notes for Rs. 500 and Rs. 2000 when they opened. 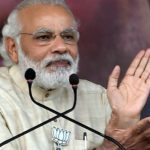 This announcement was pretty much a declaration of the failure to curb black money (or whatever it is the government imagined it was curbing) by strangling the cash flow of the whole country, as the Prime Minister himself had stated that the higher value (also debatable when a large pizza costs more than Rs. 500) notes encouraged hoarding and that is why their ban was a step toward clean money. Not only would new higher value notes be right there, there was one that was higher than the value of any currency circulating so far. But then our ruling party isn’t famous for logic. The new day began with more of the same. Cash shortages. ATMs closed. Banks, supposed to open early, as per government propaganda, mostly didn’t. In any case, by 11am, news of banks running out of cash started hitting social media. The situation on the ground is mostly unchanged, because the few people who have been able to exchange currency simply haven’t got enough currency in hand to spend it unless necessary. Being able to officially exchange only Rs. 4000 in 14 days makes a mockery of living costs in India. Though of course, people immediately found ways around that – going to multiple banks, using different ID proofs each time, etc. But the fact remains that not even 1% of the population was able to get their hands on usable cash. And no one has so much that they would send it right back into the market with transactions (I also suspect the black market the government has so helpfully invented traps and trades any that circulate, instead of merely using it to provide change at real value). While some got their cash without much hassle, many spent hours in queues and increasingly angry crowd only to discover that banks had run out of money. Daily wagers lost wages trying to get money, only to not get it and be forced to try again tomorrow. The alternative, of course was to lose anything between 10% and 20% of the value of their hard-earned money and change it in the black market. And this black market was the complete creation of Modi and his government because of their absurdly short notice on the ban and closing of banks immediately after announcing it. While the government propaganda suggests that such suddenness was necessary to prevent illegal hoarders from planning their moves, they can still plan their moves, since the government not being able to replace it rapidly will mean that they have a long time to plan and do it in, just like the other citizens – and particularly the government, which doesn’t seem to have realized the mathematical difficulty of replacing 86% of the nation’s currency with 14% of the nation’s currency and been caught completely unprepared for the results of their own actions. What is worse, is an insecurity and mistrust about the government and national currency. Talking with people on the street “How can they do this? How can they just cancel our money any time they want?” was a recurring sentiment. People are scared of losing their money. Even when they get their hands on legal cash, it will be a while before anyone forgets that their hard earned money could be rendered worthless on whim and they could suffer for necessities even after working hard and earning enough and the government actions have shown that it is inclined to act on such whims for the sake of drama that is literally funded by the people with insecurity, deprivation, losses of income, inconvenience, sometimes loss of life or social status or money in the black market. As an angry woman put it “How can the government force me to buy my own hard earned Rs.500 for Rs. 400 or not have food for dinner? What is the meaning of this? Why have government guaranteed notes if they can be banned without warning?” People are angry about the ruling party. What is worse, they are in a new position of having to factor in such losses. Ironically, this appears to have made people MORE inclined to hoard money, not less. Most people I asked said that they would now try to keep a larger emergency buffer of money at home and this time would make sure that they had notes of different denominations. Though of course, they still had nowhere near enough for immediate needs, let alone the hoarding they were planning. Regardless, by afternoon, the government was now making noises about a Rs. 1000 note as well to be introduced. Essentially, it means that the whole tamasha does mostly nothing useful. Not just are the denominations targeted to remain in circulation, an additional and higher denomination has been added while talking of high value notes increasing corruption. 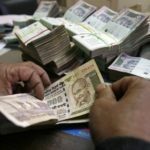 Given that one five hundred rupee note will be replaced by five one hundred rupee notes that no one wants to part with, at the slow pace people are getting money, it is going to be a long and painful time before normalcy returns. This is what happened. Part 2: will look at this situation with more analysis of other factors and fact checking. I don’t know what you are trying to address here. You are addressing 1 day problem and the nation is reeling with stacked money by lakhs of people having back money more than 100 crores each.. I personally know people who stacked more than Crores.. This is the best thing govt. has done; and please don’t put such articles.